Today has been an eventful day for Club Penguin Rewritten, and some significant things have happened. This post will be addressing and explaining what has happened today, as well as the impact on the future. The most important point is that Club Penguin Rewritten is not closing. You may see a page similar to the image below when trying to access the website, this is temporary! The game is going to be down for a bit, but it will be up soon. The second important point requires a bit more explanation. The Club Penguin Rewritten team is/was composed of four administrators: Hagrid, Codey, Joee and stu. During today, Codey was overthrown from his position and he is no longer part of the Club Penguin Rewritten team. Hagrid and Joee locked Codey out of the server and domain. In response, Codey permanently deleted all public channels on the public Discord – that’s basically just a place where people can chat outside the game – before explaining his side of the story. In this post, I don’t really wish to dwell on opinions or sides, but rather just give the facts of what happened. I will, however, briefly share this. The context behind this is unclear. Codey has kicked/banned Joee and Hagrid on several occasions and Codey believes the reason is due to the Cart Surfer update that happened last month, as he opposed releasing it until other bugs across the island were fixed. 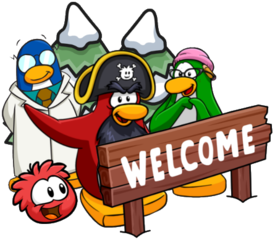 A moderator has said that Codey was acting very “manipulative” towards other staff members and the community, claiming that he “jeopardised CP Rewritten’s future”. EyebrowBoy, also known as Thorn, will be replacing Codey in terms of his position. He was a former moderator of the game but will now be an administrator. Flippy is now also a moderator. All other staff positions have not been affected. The Club Penguin Rewritten Twitter and Discord has also changed. Users over the age of 12 can view the new Twitter at @CPRSupport. Once again, if over the age of 12, you can join the official Discord for the game. I hope that this clarified and cleared up any confusion. 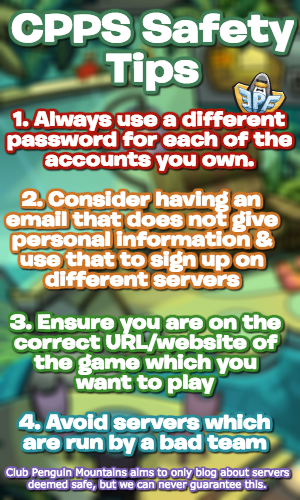 Thank you for reading, be sure to check back for more of the latest news and guides! The DocumentRoot, which is the directory under which all your HTML files should exist, is set to /var/www/html. CGI scripts are looked for in /usr/www/cgi-bin, which is where Debian packages will place their scripts. You can enable cgi module by using command “lighty-enable-mod cgi”. This is a placeholder page installed by the Debian release of the Lighttpd server package. This computer has installed the Debian GNU/Linux operating system, but it has nothing to do with the Debian Project. Please do not contact the Debian Project about it. If you find a bug in this Lighttpd package, or in Lighttpd itself, please file a bug report on it. Instructions on doing this, and the list of known bugs of this package, can be found in the Debian Bug Tracking System. I’m not really sure what that means, but thanks for sharing! It likely was a bug, but a proper screen acknowledging CPR’s downtime should be visible now. I’m glad the game isn’t closing – this is still so sad though 😦 how come the invite to the discord has expired? And do you think they will create a new one? Yeah, I agree, but hopefully it all works out for the better! Are you going to write about Codey posting CPRs code?? I’m aware of Codey’s recent actions and think they’re absolutely horrific, but I don’t think that I’ll be writing about that anytime soon!